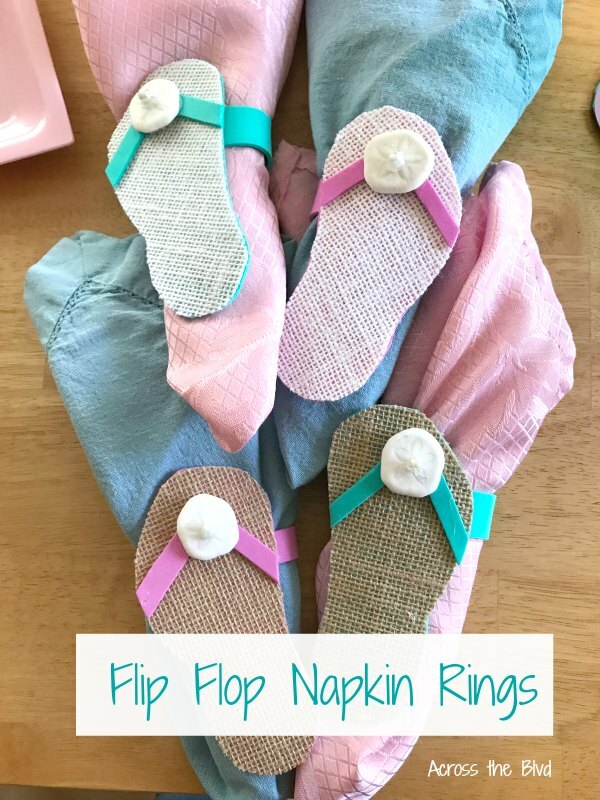 Making Flip Flop Napkin Rings for a Summer Party is an easy diy project. 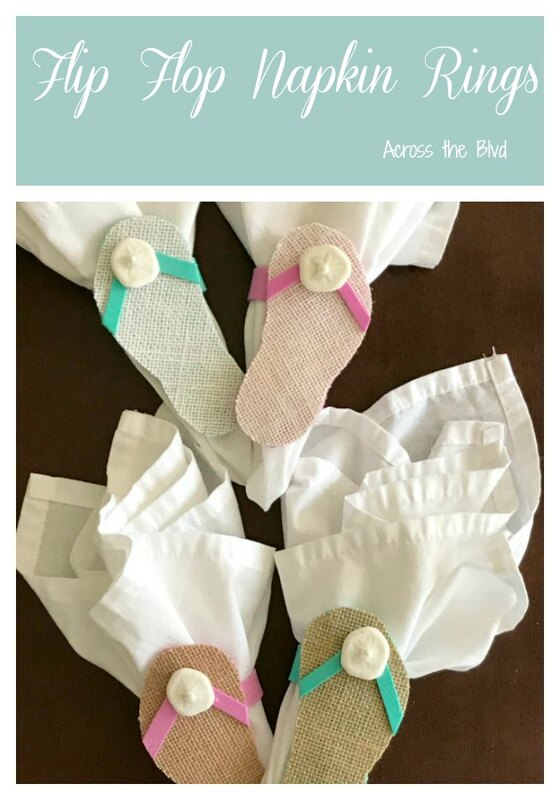 Using burlap and foam sheets and a flip flop template, a set of four of these can be made quickly. 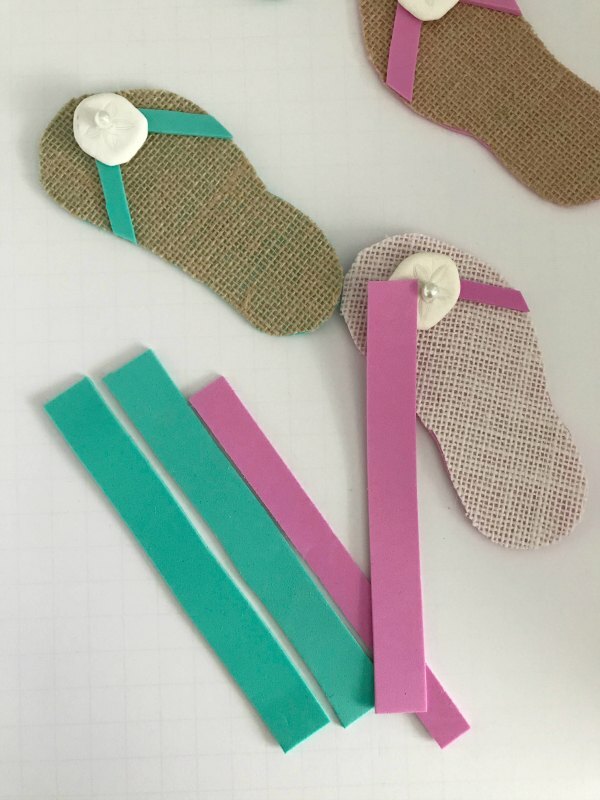 They are a fun addition for a flip flop themed party. 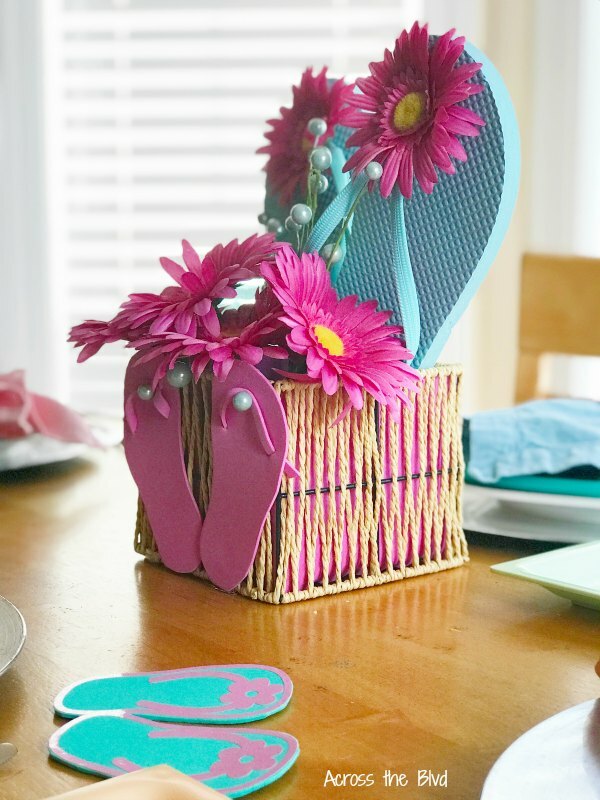 Over the last couple of days, I’ve shared by Flip Flop Centerpiece and Flip Flop Coasters. To go along with the theme, the table needed some napkin rings to match. I used Gorilla Clear Glue to make these napkin rings. 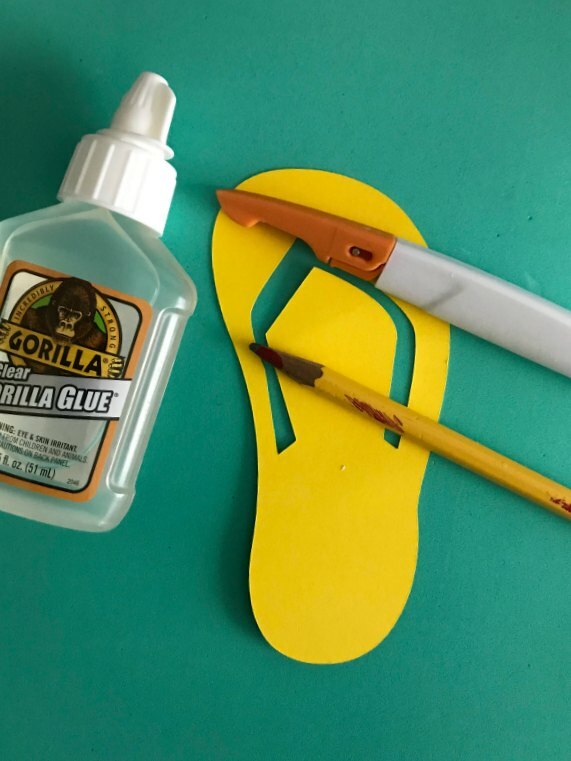 I used my Cricut to cut out a basic flip flop pattern. 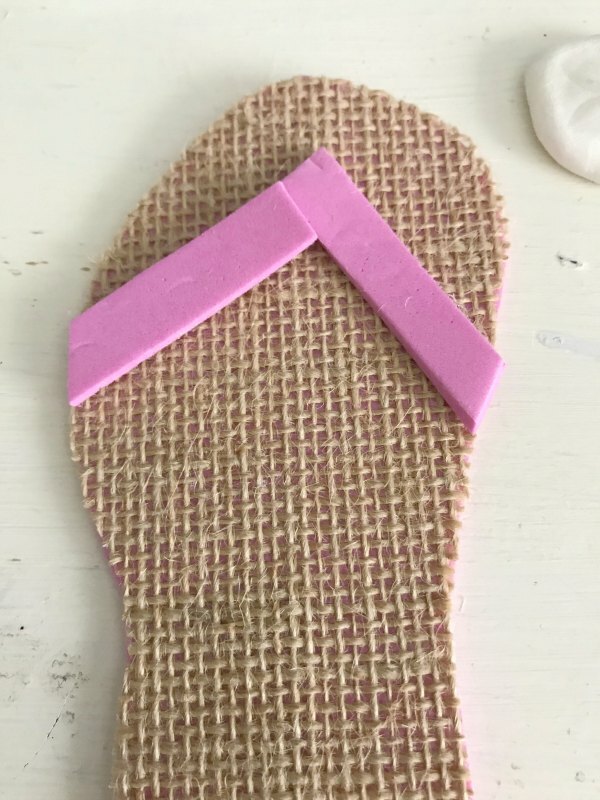 Using the template, I cut pieces of burlap into four flip flop shapes. 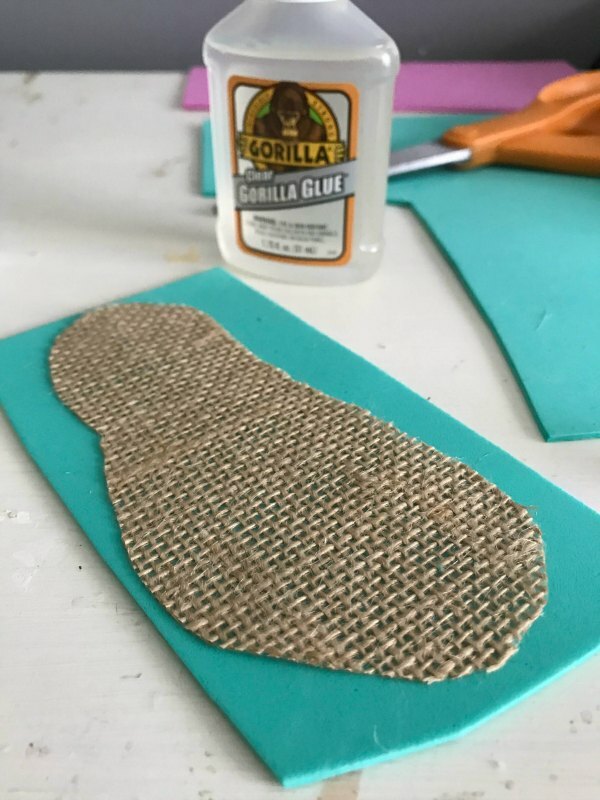 Next, I glued the burlap flip flop to the foam sheet and cut the pattern out. I used a combination of light and dark burlap and teal and pink foam for the napkin rings. 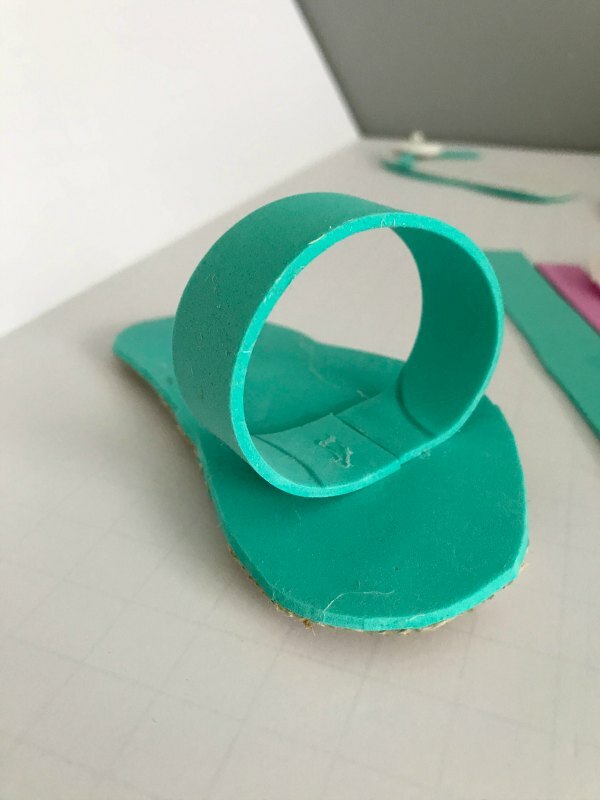 Small strips of foam are cut to make the straps. These are glued in place. I checked my craft stash for something to add to the center of the straps and found these clay sand dollar imprints. They were just the right size for the napkin rings. These were taken off of a thrift store trinket box I bought a while ago. It often pays off to hold onto items that might be just right for future projects. These are glued to the foam straps. To make the ring, I cut strips of the foam to size and glued the ends together. 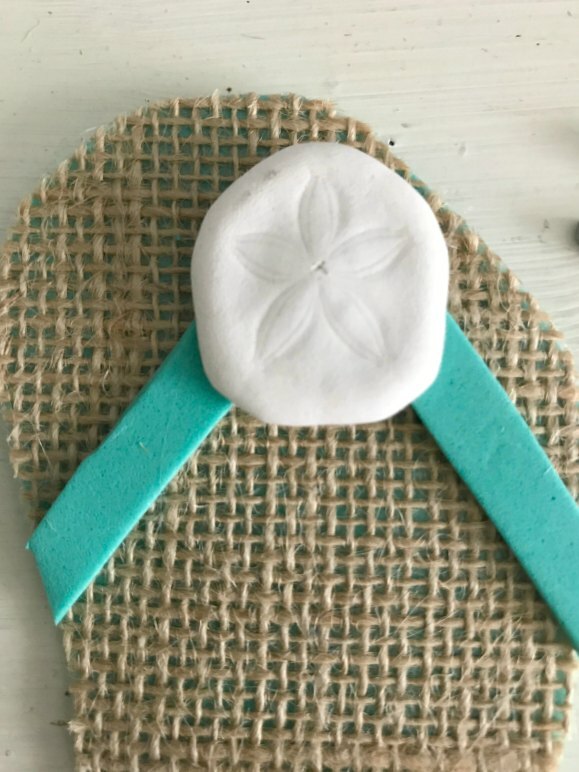 The rings are glued to the bottom of each flip flop. I used a small piece of sand paper to smooth out the edges of the foam. I like the contrasting colors of pink, teal, and blue with the burlap top. 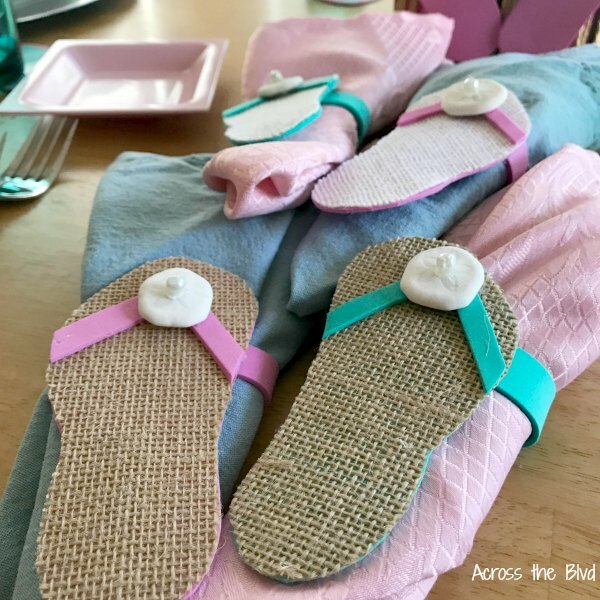 This flip flop tablescape was fun to put together and I love that most of the items were easy DIY projects. Even though it’s still very much feels like summertime here, it’s time now to start bringing out fall crafts, decor ideas, and projects. But, for one last weekend, we’re going to enjoy some summertime decor! Have you brought out your fall decor yet? 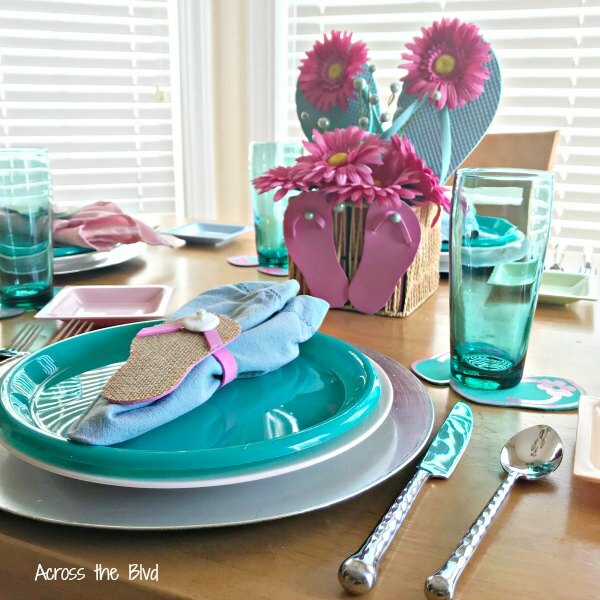 I love all of the flip flop tablescape ideas. My favorite are the napkin rings. They are just to cute. 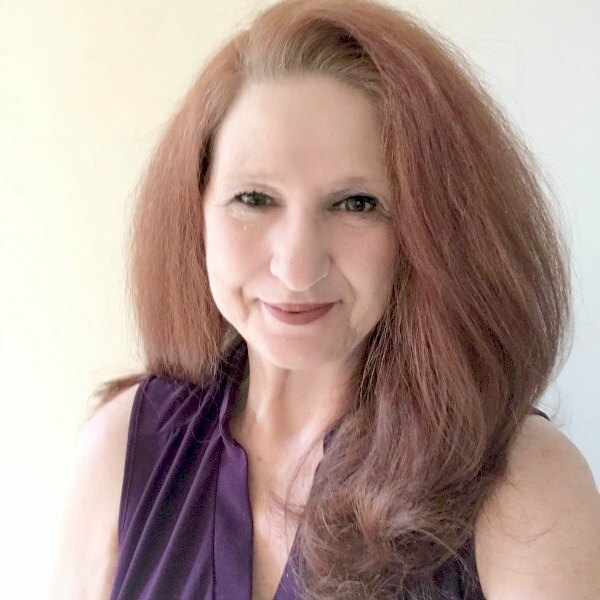 Thank you, Debra. 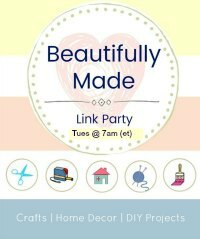 I had fun creating all of these and they were all easy crafts to make. What a creative idea for summer napkin rings! Thanks, Gail. They were fun and easy to make.